I tell you what, $20 just doesn't stretch very far! 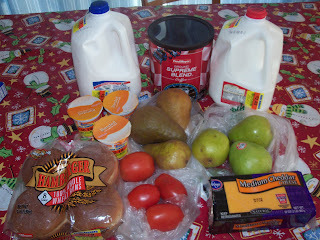 My goal during Pantry Challenge 2011! 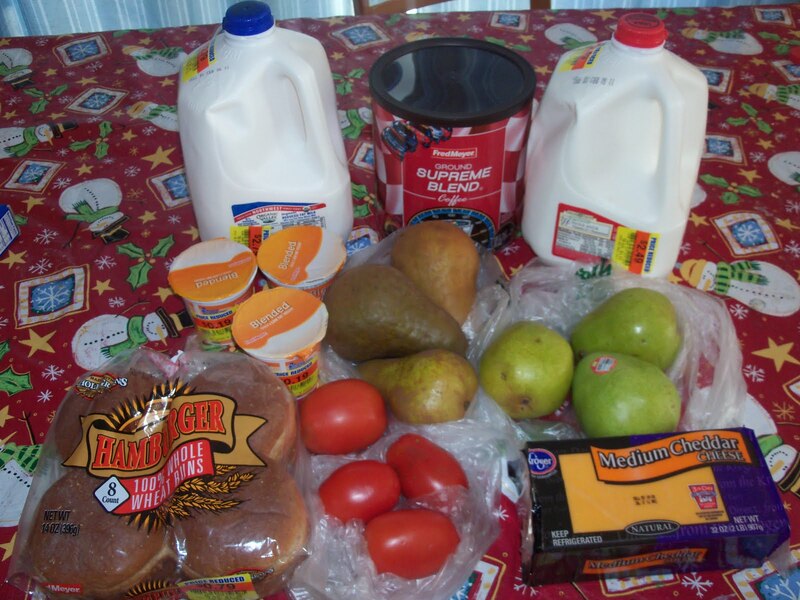 is to spend only $20 per week on the basic grocery necessities, primarily dairy & produce. This week I had to buy cheese, milk, and coffee which are all, unfortunately, higher priced items. I spent a bit over $20 but could have said no to DD2 adding a third huge Bosc pear to her produce bag and to the markdown yogurt because we still had a few at home in the fridge. 2 gallons of organic milk - clearance priced $2.49 and $2.79. Yahoo! When DD1 was born and DH and I were committed to my staying home I only spent $20 a week on groceries on a regular basis. I worked at a restaurant about 3 times a month and often was able to bring home food that would be thrown out, and my parents helped out a lot by providing vast quantities of meat whenever they came to visit. Things have definitely changed in 5 years, especially since we switched to organic milk and DH started drinking coffee. This week's shopping trip was a challenge and a good reminder of how far we've come, thanks to God's provision. This Week's Shopping - $19.78!!! Friday Project - Taxes Done! Friday Project - Maternity Clothes Out! New Budget - DH Takes Charge! $10 Papa Murphy's Gift Card - Only $5!